We have a full fleet of Demo bikes ready for you to try! For $50 day rental/demo fee, you can try out a new ride on local trails to see what style/size/fit of bike is right for you. 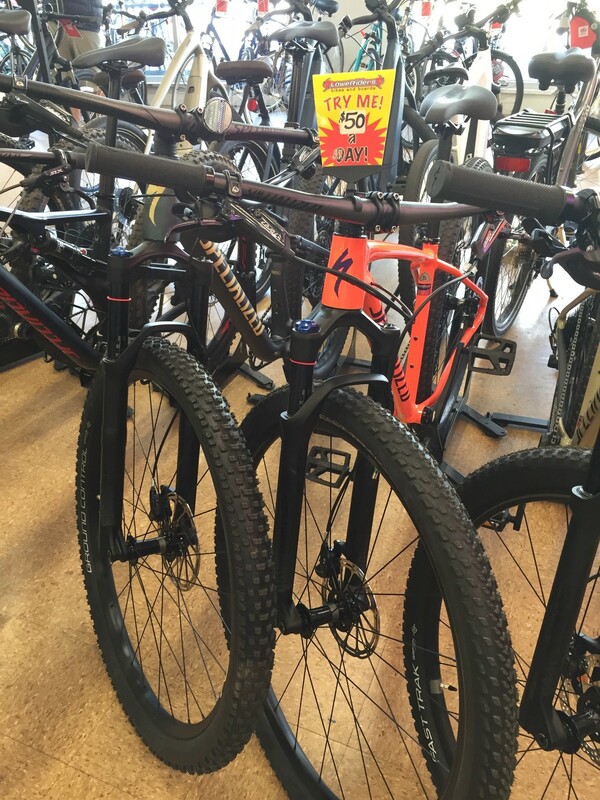 When you buy/order a new bike, we then apply the $50 toward your purchase. 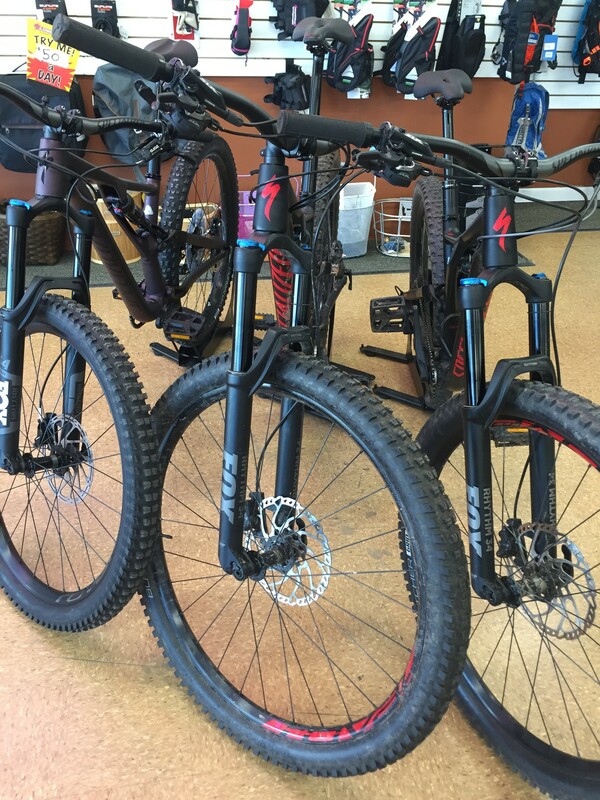 Stop in anytime to check out our Demo Fleet and choose which bike you want to try next!